The indicator displays the candles of an "attached" symbol at the scale of the main one. The scale is re-calculated by High/Low points of the displayed period. The Moving Average of the "attached" symbol (yellow line on the screenshot and video) is additionally shown on the chart. The Moving Average of the main chart symbol is not included. It should be launched separately. 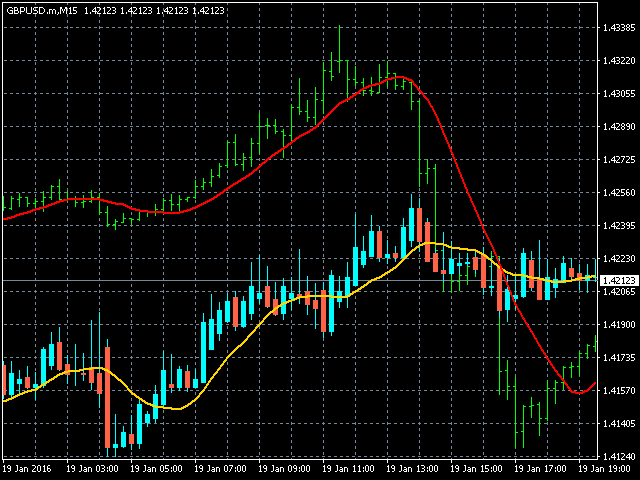 The indicator helps you to assess the correlation between the symbols during the pair trading. 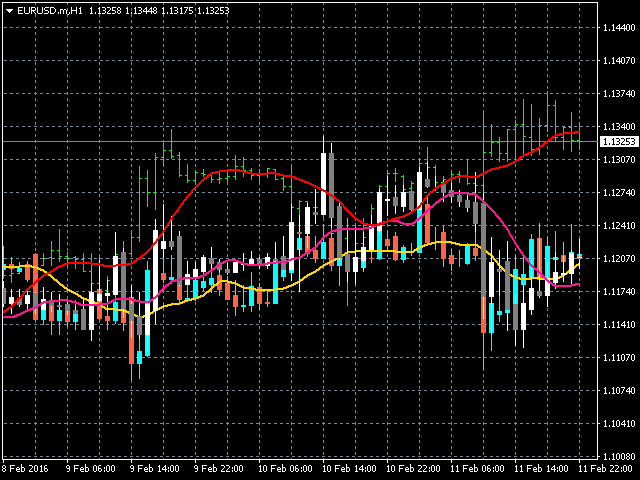 You can launch several indicators with various "attached" symbols and candle display settings.